SP-1010DR and SP-1011DLR. The stations are characterized with good heat efficiency and solid performance. 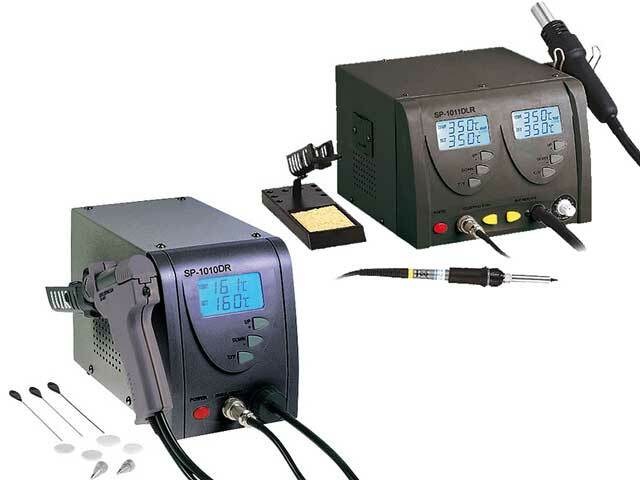 SP-1010DR is a digital desoldering station with embedded compressor. SP-1011DLR is a digital double function service station equipped with heating soldering tool and hot air supply.